PSI’s ProStack 2 Pocket modular bottled water rack system offers 360 degrees of bottle enclosure, which dramatically reduces leaking bottles. Our ProStack bottled water rack has unmatched durability you won’t find anywhere else. 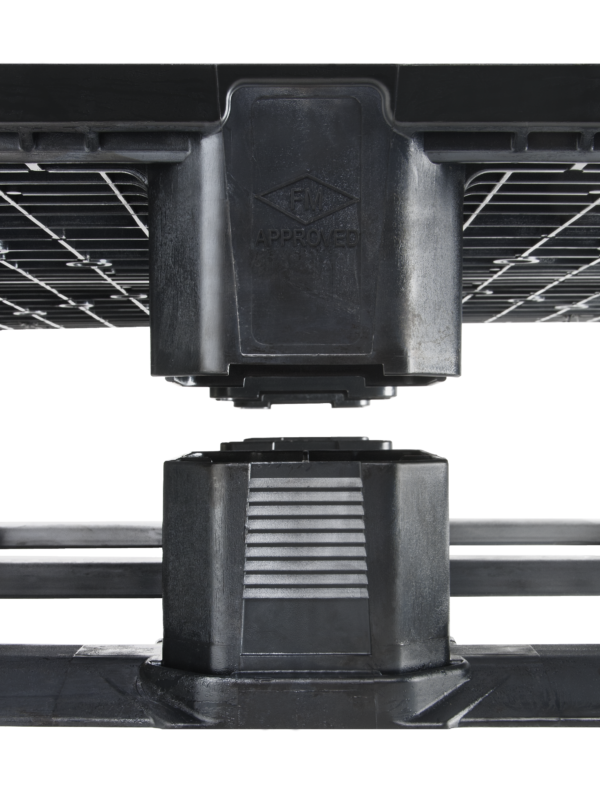 Our Prostack 2 Pocket water bottle rack can hold four 5-gallon or six 3-gallon bottles in each unit and offers a number of advantages over metal units, including lowering maintenance expenses and a reduced risk of damage to truck bays and trailers. The 2-Pocket is the smallest stackable bottled water rack in the ProStack product line. As such, it is ideal for applications where floor space is at a premium, or where shifting demands require additional payload flexibility. 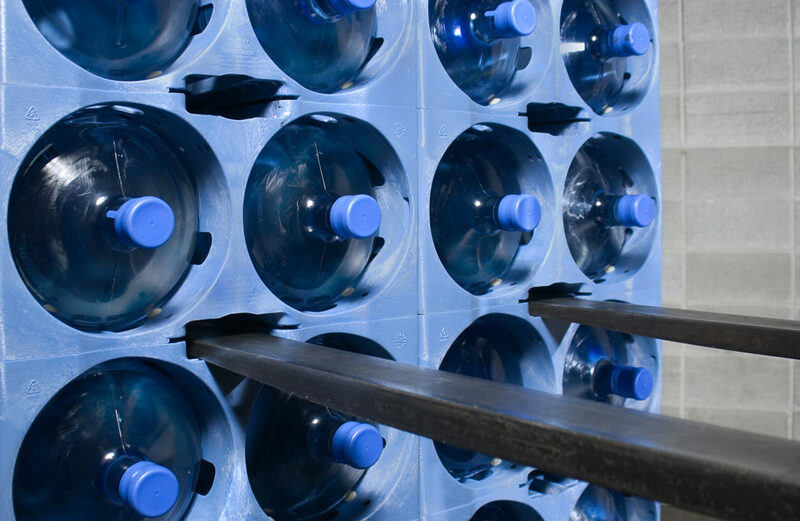 Like all ProStack modular bottled water racks, it is a highly durable product designed for years of reliable performance in even the most demanding environments. The ProStack 2-Pocket 5-gallon water jug rack is exclusive to Polymer Solutions International Inc. (PSI). 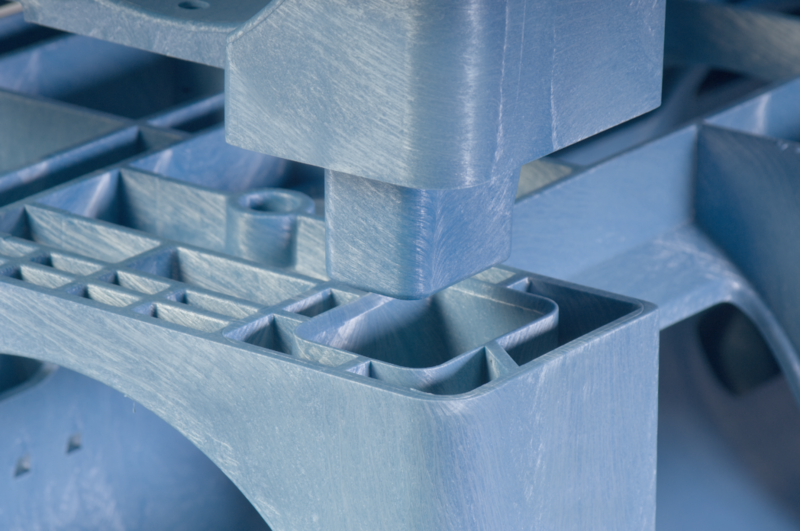 The product of years of research and engineering expertise, this patented system has been specifically designed with cost savings, flexibility and sustainable performance in mind. It is available in both blue and black. 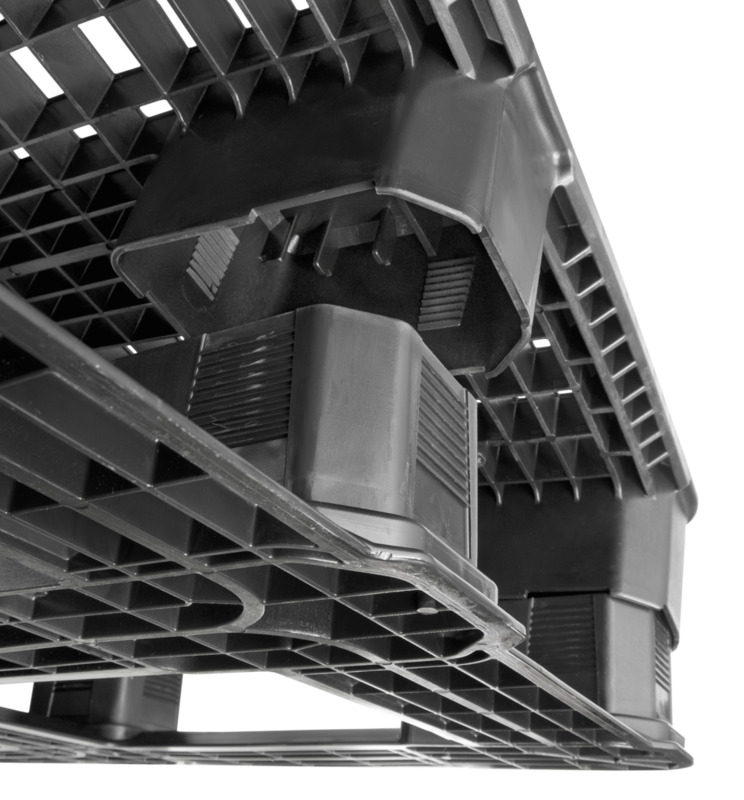 Individual units can be stacked on top of one another to offer a range of different shipping options. 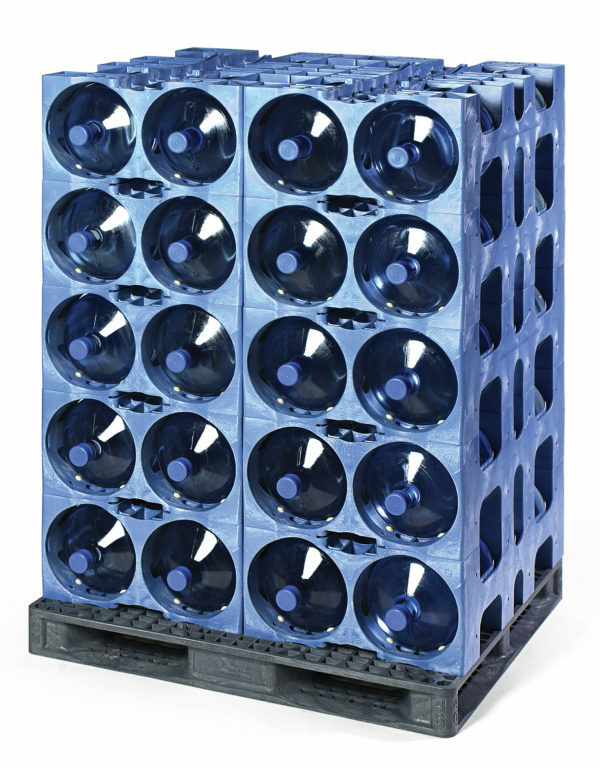 The ProStack 2-Pocket plastic bottled water racks are built to work with the optional Double Leg Ratchet (DLR) pallet. 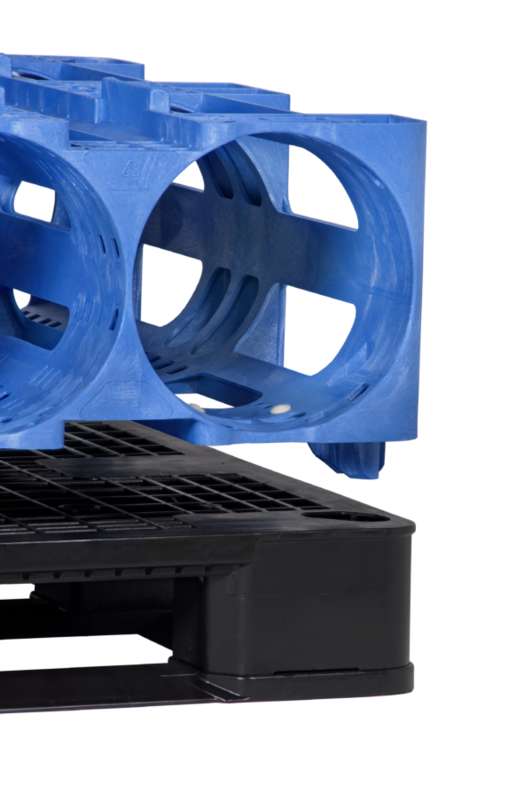 Unique in the industry, our DLR pallets feature a double-leg design that offers twice the protection against forklift and other damage. Count on ProStack 2-Pocket Modular bottled water storage racks to protect your product better than anything else on the market today. A shock-absorbing 360 degree enclosure cradles each bottle to reduce the risk of damage during transport or handling. At the same time, features such as reach-through access ensure increased protection against leaks that doesn’t come at the expense of fast and efficient handling. The ProStack 2-Pocket bottled water storage racks are made from one-piece structural foam injection molded polyethylene plastic. 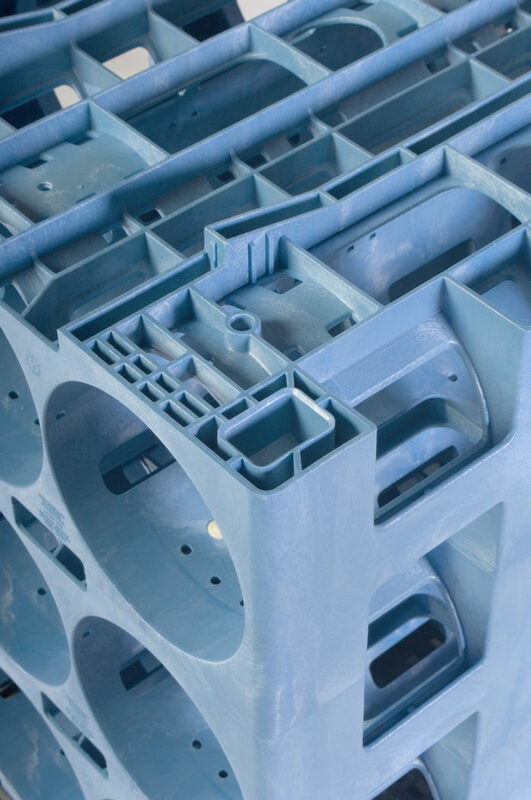 Offering exceptional durability, our products are designed to provide years of reliable performance in storage, warehousing, road and marine shipping applications. Compared to metal bottled water storage racks, ProStack products offer a number of critical advantages. Since they’re lighter weight, they reduce your shipping costs and are faster and easier to move around. They also have fewer maintenance requirements and most importantly are less likely to cause expensive damage to trailers and truck bays. ProStack products lead the industry as a sustainable solution for your bottled water handling needs. Superior protection against leaks means less product loss, while 360-degree stackable bottled with protection reduces wear and extends the life of individual bottles. As for the racks themselves, they are both reusable and recyclable. In fact, when your rack reaches the end of its lifecycle we’ll buy it back from you and turn it into new reusable packaging products. 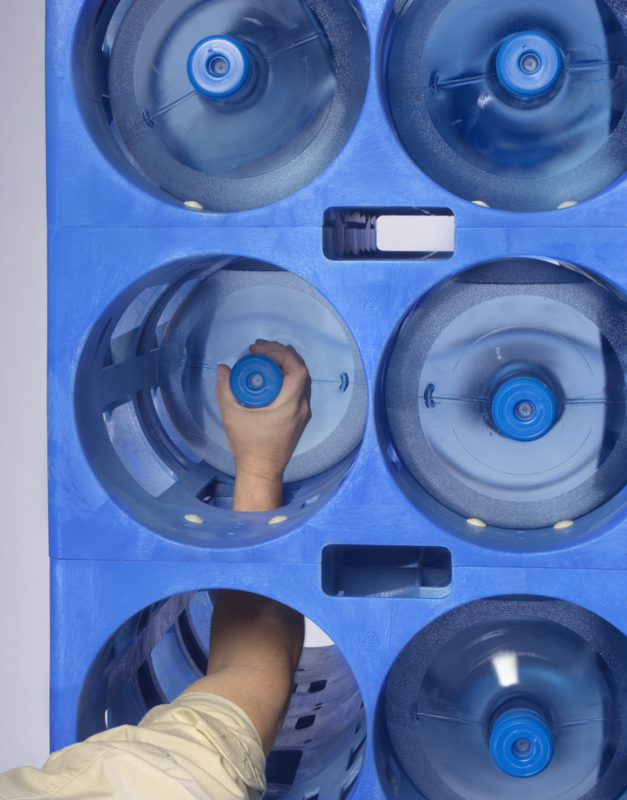 Want to learn more about the ProStack 2 Pocket Modular plastic bottled water rack? A PSI representative will be happy to help you via Live Chat, phone or email. You can also download the available brochure for detailed specifications and more information about our product.